No Retreat, No Surrender 3: Blood Brothers (aka No Retreat, No Surrender 3) is a 1990 American action film directed by Lucas Lowe, and starring Loren Avedon and Keith Vitali. While financed by Seasonal Entertainment, the film does not continue the story of the original film No Retreat, No Surrender or the sequel, both directed by Corey Yuen. Washington D.C. A bank has been held hostage by terrorists with police surrounding the building. As the lead terrorist, looks over at the hostages, a crippled hostage begins to beg for his life. When the crippled hostage is kicked down, it turns out to be a trick as the hostage's crutches are a projectile and a blade. The "hostage" is revealed to be CIA agent Casey Alexander, who in the process of saving the hostages, was shot in the arm, but is successful. We soon meet Casey's brother Will, who is a martial arts teacher who does a demonstration of using skills in real-life situations. When Will's father John calls him, Will asks what time the party starts and John asks if Will is willing to spend the weekend with him and his father. Will is reluctant, but accepts the offer. John Alexander a CIA nyugdíjas terrorellenes harcosának születésnapi ünnepségén kellene kibékülnie két haragban lévő fiának. De Casey és öccse Will nem jönnek ki egymással, ők a tűz és a víz. A szakadék még jobban elmélyül köztük, amikor apjukat egy nemzetközileg ismert brutális terrorista Franco megöli. 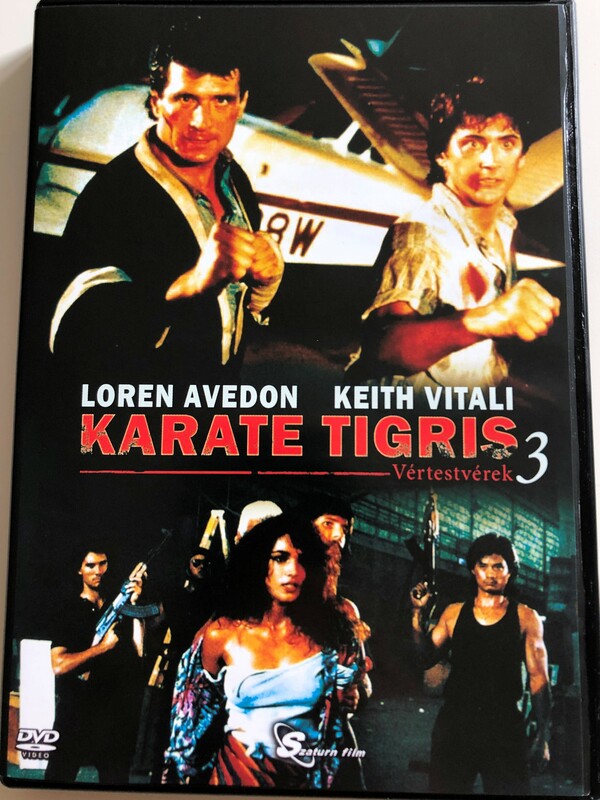 Click the button below to add the No Retreat, No Surrender 3: Blood Brothers DVD 1990 Karate Tigris 3: Vértestvérek / Directed by Lucas Lowe / Starring: Loren Avedon, Keith Vitali to your wish list.